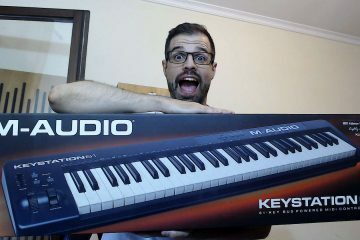 Hi, today I do an M Audio Keystation 61 Review. I bought this MIDI keyboard through Amazon and today I do a review of the keyboard and the software that is included in the box. One of the software is Ableton Live Lite, so stay tuned for Ableton Live tutorials in the future. Today there is no Premium/Exclusive video. If you have any question regarding audio configuration just let me know via social media or email.